I have always been an advocate of Byron, as readers of this blog will contest. Ever since my first visit, I have been back numerous times and the burgers just get better and better. Uncomplicated and delicious, they are currently my burger of choice in London. As you can see from the post linked above, that was written in the infancy of this blog and a lot has changed since then. 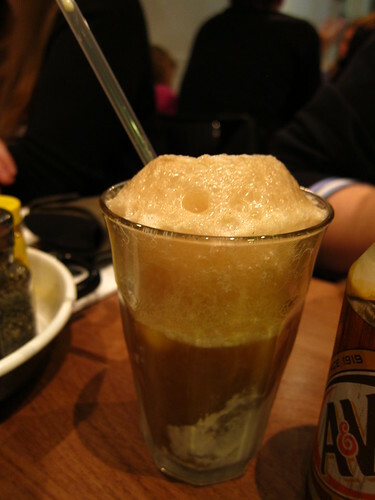 Not only have I discovered that there are more than one Byron (where there are in fact 5 within London and even 2 outside) but they also now have an A&W Root Beer float on the menu. Foaming heaven in a frosty glass. The latest branch to open is located deep in Soho on the site of the old Intrepid Fox. 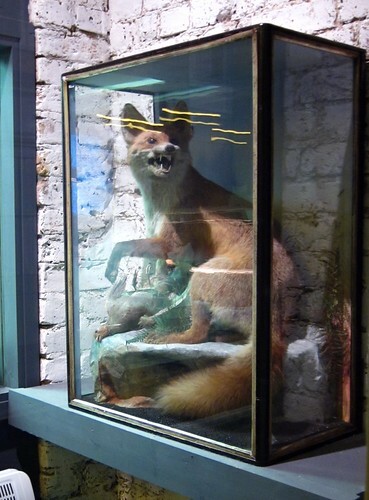 I would love to go on about the history of the Intrepid Fox and how it holds many memories for me, but I was never a grungy or gothy kid in my youth, and would much rather hang around more lively and less sombre drinking establishments. All the same, the site has a rich vein of history and could do worse than housing somewhere that sells A-grade burgers. For a large many of us, having a Byron in the heart of Soho is infinitely more accessible than the majority of their restaurants which are spread across various destinations in West and South West London. Even with this statement, I still hadn't managed to make my way there and it took the news of yet another development for me to make my way there. What was this mysterious announcement, you ask? Come a little closer and I will whisper it in your ear.......Byron have a new burger. Good gossip spreads like wildfire and it was only a few days prior to my visit that I got wind of some developments. Some rumours here, other mentions there. There was more tension being built up than the Eastenders Christmas Special. Finally, I found out the news, my own personal "who murdered Archie" moment, the Big D was to be launched. If this wasn't a good enough reason to get my arse down to Byron, I don't know what is. So what is the Big D you may ask? Well, its an 8 oz premium burger crafted from meat supplied by premium butchers, Jack O'Shea. A bigger patty (than the usual 6oz) made out of premium Jack O'Shea beef, sounds like my kind of burger. When it arrived in front of me, I lifted the bun and although the aroma was mesmeric, there were a few small niggles I need to get out of the way. Although packed with decent salad (which didn't poke me in the eye, major bonus), I like a bit more lubrication than just mayonnaise. Yes, there are a multitude of sauces to choose from but I like a good relish (sweetcorn or tomato), something to just lift the beef. This had none. And the pickle, an essential part of a delicious burger (there is something about that crunch and piquancy that elevates a good burger to nigh on godly) was delicious, but quartered and left on the side, waiting for manual inclusion. I know lots of people find pickles offensive, but it needs to be sliced and evenly distributed within the burger. I hate to admit this, but it's something I actually admire in a McDonalds cheeseburger. Niggles aside (I like the bun, just putting it out there), what you get is a very memorable burger. My burger arrived perfectly medium, pink and juicy, with a slight dribble when you bite in. The flavour is exactly what you would expect from a burger made with good, aged meat. It was packed with meaty goodness and tasted of very happy cow. Happy cow = happy punter. I was so hungry that my mouth was working hard to get my fill. After all, everybody wants a thrill. 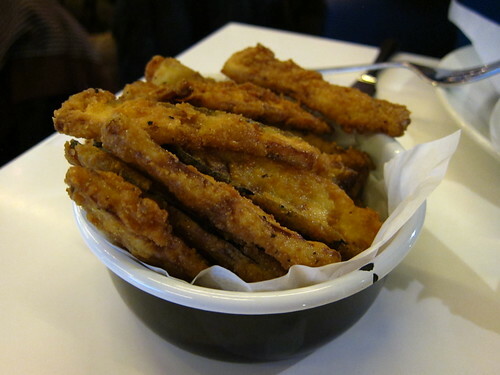 Sides of skinny fries and courgette fries were perfect accompaniments. I can contest, this was as close to a bur-gasm as I have ever got in London. As you would expect, a slightly larger burger made from high quality meat is a going to cost a little more, but even at £9.95, it is still very affordable. I don't believe that every branch stocks them, so please check before you go, and be prepared to reserve them to avoid disappointment. I never did find out what the D stood for, but in my eyes, it will always stand for delicious. I don't think my love affair with Byron is quite over yet. I really liked the Big D too, even though I struggled to keep a clean appearance - it got everywhere. I rather like the pickle on the side, though pickles always please me, whether they're in the burger or out. 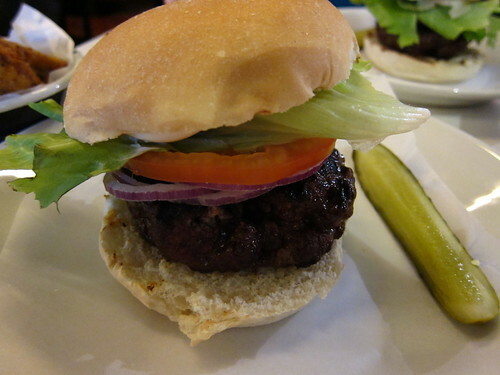 The burger looks great and I'd be very happy with the pickle on the side- I cannot stand the taste of pickle (sorry!). @IHC - If we ever eat burgers together, I would be more than happy to remove you of your pickles.